As winter begrudgingly melted into spring a young man’s fancy turned to, well … and after that, to bike racing. 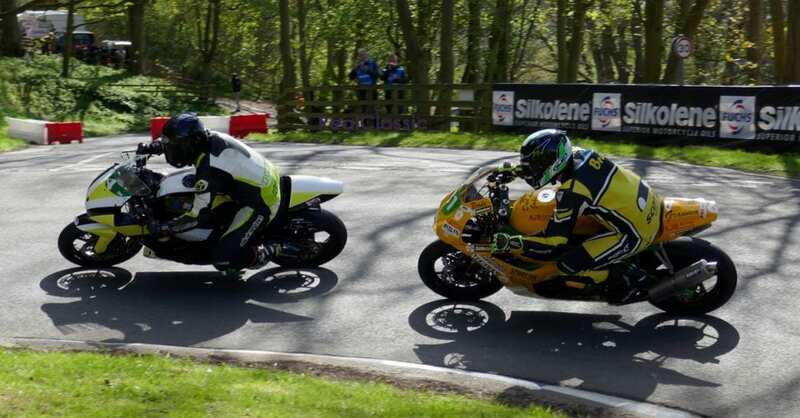 Such thoughts brought the road racing fraternity to Britain’s first resort, Scarborough, and over the weekend of 22nd and 23rd April they raced at the Bob Smith Spring Cup meeting. 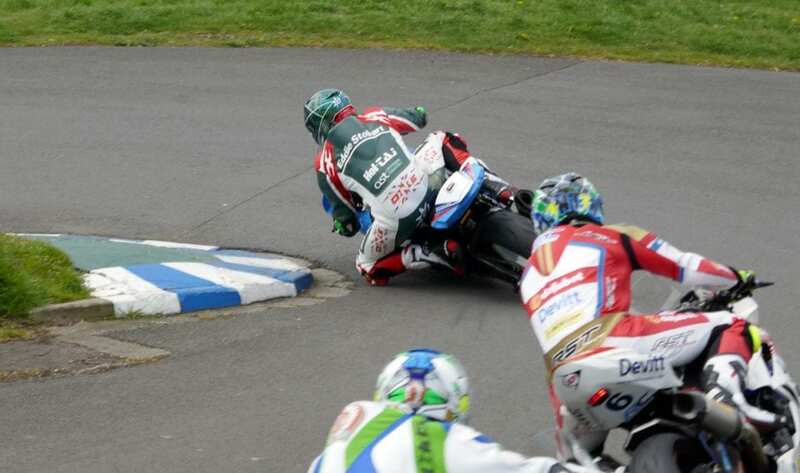 Scarborough has hosted road races on Oliver’s Mount since 1946 and is now the only public road based racing circuit left in England. Should you be of a mind you can put in a hot lap of the circuit at any time that the roads are not closed for racing. Although the 30mph speed limit does put a little bit of a damper on one’s exuberance. So, who has raced here? Pretty much anyone you can think of in the last seven decades from British racing, and many of the greats from Europe and beyond, a few names to conjure with: Bill Doran, Cecil Sandford, Bill Lomas, Geoff Duke, Denis Parkinson, Fergus Anderson, Mike Hailwood, John Surtees, John Hartle, Percy Tait, Florian Camathias, Bob McIntyre, Tommy Robb, Kent Andersson, John (Moon Eyes) Cooper, Giacomo Agostini, Phil Rear, Barry Sheene, Mick Grant, Wil Hartog, Pat Hennen, Dave Croxford, Peter Williams, Wayne Gardner, Steve Parish, Neil Tuxworth, Rob McElna, Keith Heuwen, Phil Mellor, Jamie Whitham, Carl Fogarty, Nick and David Jeffries, Ian Lougher, Chris Palmer, Joey Dunlop and the rest of the Dunlop clan, Jim Redman, Guy Martin – and that isn’t an exhaustive list. Quite a roll call. It is a fearsome circuit: a narrow strip of tarmac draped over a gurt big hill. 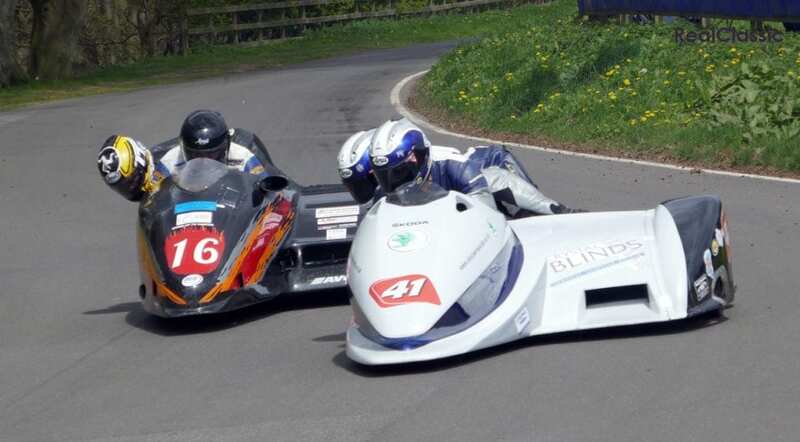 In places it is so narrow that two cars would have to be very cautious if they had to pass, although cautious is the last adjective you would use to describe the way that the riders tackle the course. There is almost no part of the circuit that is straight and level for more than 100 yards in the whole of the 2.43mile circuit. 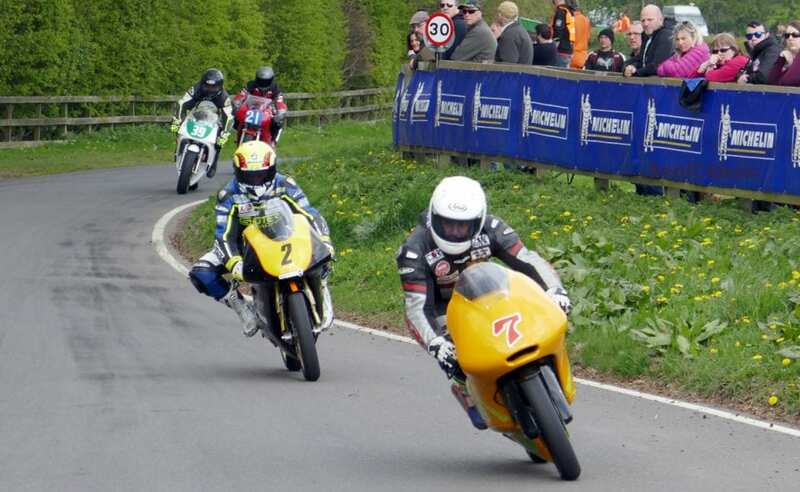 The climb from the start/finish line is the steepest in British racing; back in the 1950s and 60s manufacturers would build special gearboxes for Scarborough to cope with the climb. 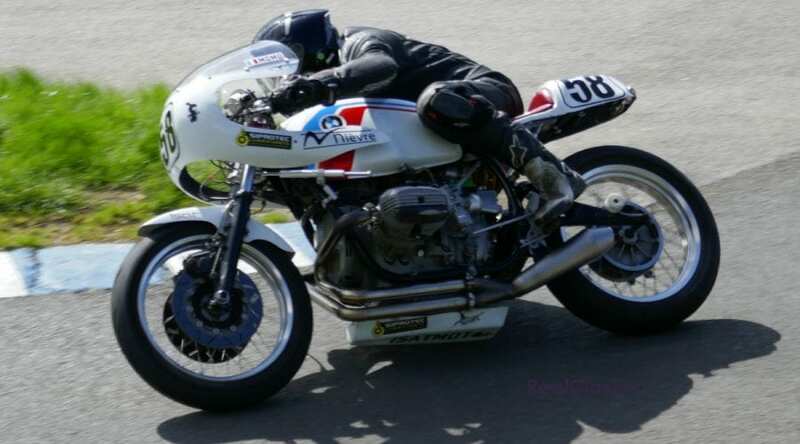 In 2013 Guy Martin set the lap record of 1 minute 44.269 seconds at an average speed of 83.898mph. 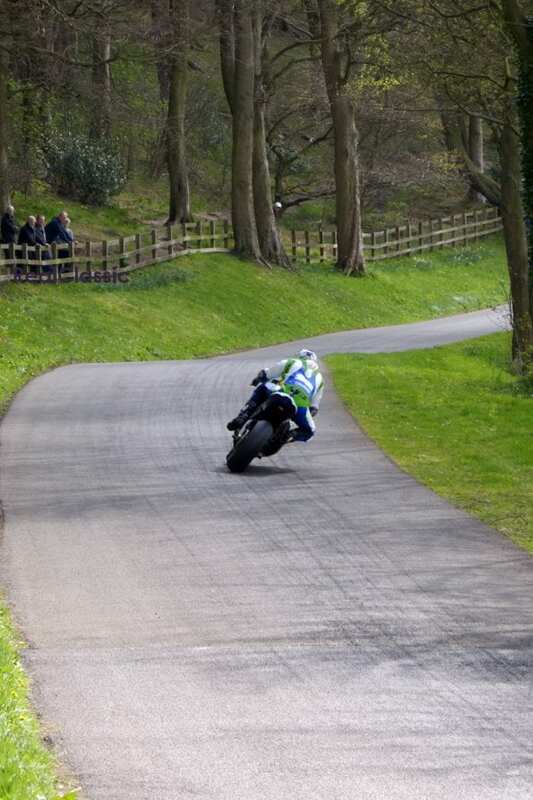 That may not sound quick but you have to remember that at the Mountside and Mereside hairpins the bikes slow to near walking pace. One of the glories of this circuit is that you get to stand close to the track as you spectate. How close? Close enough that the draft from the sidecar outfits is strong enough to lift your hat. This makes it MUCH more exciting when you are watching… and occasionally expensive in hats. Another big plus point is that, apart from a small area near the Monument bend, you can spectate from anywhere on the course and it is usually quiet enough that you can walk from vantage point to vantage point during the meeting and be assured of standing at trackside. 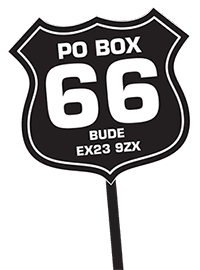 This means you can get up close and personal with the howl of the modern inline fours as the hit speeds of over 160mph on the back ‘straight’, gasp at the wump of the big (and not so big) twins as they lunge out of the slow corners and, if you are lucky, gasp as the big singles set off up Sheene Rise sounding like a barrage of trench mortars. All this gets mixed in with the evocative smell of Castrol R. What could be finer? The Bob Smith Spring Cup was mainly modern machinery but there were also some races for classic machinery. 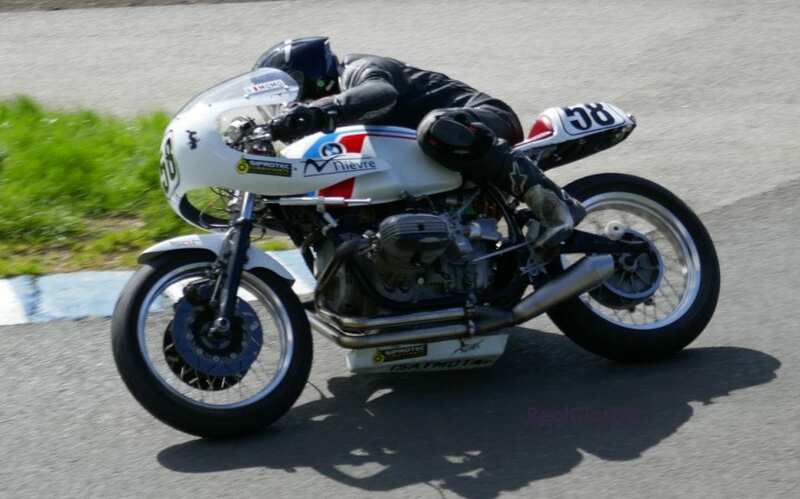 The description given for the class was Classic Superbike (TT Specification), in practice that seemed to mean a run out for some of the race bikes I remember from the 1970s and 80s. And that attracted a decent field of competitors. 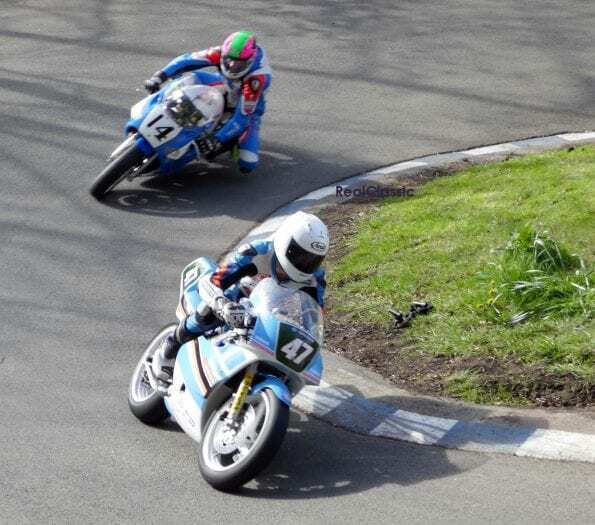 Some of whom, if they were honest, raced more in hope than expectation: the air-cooled, pushrod Beemer twin didn’t have a realistic chance of glory but it was splendid to see and made a lovely sound. The next meeting is on 24th and 25th June 2017. Get yourself along for a brilliant day out.